The Town," "Mairzy Doats," and "The Twelfth of Never." Along with David he also wrote "This Is It!" (undoubtedly familiar to fans of Bugs Bunny) and the theme song to Casper the Friendly Ghost. a 2-disc DVD set and a special edition VHS. Lion King and Aida - is born Reginald Kenneth Dwight in Pinner, Middlesex, England. 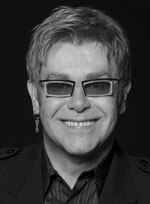 four-decade career, Elton John has been one of the top dominant forces in rock and popular music. Documentary, Short Subject and The True-Life Adventure The Living Desert wins for Documentary, Feature. It is the first time one individual has won 4 Oscars in a single year. Actor and 2004 Disney Legend Matthew Garber is born in London, England. Although he appeared in The Three Lives of Thomasina (his screen debut at age seven) and The Gnome-Mobile, Disney fans know him best as young Michael Banks in the 1964 Mary Poppins. The ABC-TV series Walt Disney Presents airs episode 150 - "Elfago Baca: Gus Tomlin is Dead." It is the 10th and final part of the mini-series starring Robert Loggia as a frontier lawyer. airs part 3 of "The Prince and the Pauper." Awards (held at the Shrine Civic Auditorium in Los Angeles). Winners include: Best Song - Sooner Or Later (I Always Get My Man), Art Direction - Set Decoration, and Make-up. Alan Menken and Stephen Schwartz win Best Song for their "Colors of the Wind,"
Newman's score for Toy Story). Elton John appears on TV's Late Show with David Letterman promoting Elton John and Tim Rice's Aida, a concept album containing songs that will be used in next year's Broadway stage version of Aida (a Disney production). World of Disney from his southern Oregon home. Richard Fleischer - 2003 Disney Legend & veteran director of Disney's 1954 20,000 Leagues Under the Sea - passes away at age 89 in California. The son of animator Max Fleischer, Richard's directing credits include such well-known motion pictures as Fantastic Voyage, Doctor Dolittle, Tora! Tora! Tora!, Soylent Green, and The Jazz Singer. Mike Peterson, a linebacker for the Jacksonville Jaguars, marries his fiance Chantel at Disney World's Wedding Pavilion in Florida. Walt Disney World welcomes Don McGrath - the 500 millionth guest to enter a Disney park! Disney's 2005 live-action feature Sky High premieres on Disney Channel. The live-action Disney feature The Misadventures of Merlin Jones - starring Tommy Kirk, Annette Funicello, and Leon Ames - premieres in New York. Singer-actress Alyson Michalka, of the sister pop group Aly & AJ, is born in Torrance, California. Disney Channel fans know her both as Keely Teslow on the series Phil of the Future and as Taylor Callum in the 2006 Cow Belles. Disney Channel airs the Phil of the Future episode "Milkin' It" for the first time. Also debuting is The Suite Life of Zack and Cody episode "Maddie Checks In." Congress) honoring her late husband Walt. third and fourth grade Washington, D.C. area schoolchildren. is part of the park's "Blast to the Past" - a tribute to the 1950s. A joint press premiere takes place at Disneyland Paris for Indiana Jones and the Temple of Peril: Backwards! (a refitted version of the attraction) and The Tarzan Encounter (a stage show). Official openings will take place April 1. Thunder in Paradise, a one-hour action-adventure TV series, debuts in syndication. locations at Walt Disney World include Disney's Old Key West Resort, Fort Wilderness Campground, and EPCOT - used heavily due to the wide variety of futuristic and architectural styles available. Thunder in Paradise will run for one season. Coach Gordon Bombay, played by Emilio Estevez, is picked to lead Team U.S.A. He reunites the "Mighty Ducks,"
the teen misfits he once coached to victory. The cast includes Kathryn Erbe, Michael Tucker, and Joshua Jackson. on Disney Channel. The series features the cast of Sonny with a Chance, minus Demi Lovato. Ultron), the space will re-open as Super Hero Headquarters. removed from Walt Disney World. Matthew Glave, and Phill Lewis.